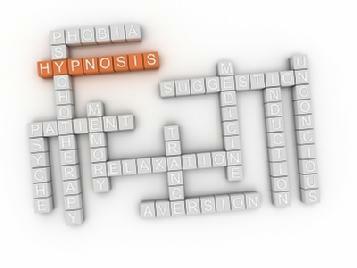 Welcome to North Wales Hypnotherapy. I am Alison Bird, a clinical hypnotherapist based in Kinmel Bay, providing hypnotherapy in the Rhyl, Rhuddlan, Abergele and Prestatyn area. I specialise primarily in the areas of weight loss hypnosis, quit smoking, Hypnobirthing, bruxism (teeth grinding), eating disorders and IBS, and have over 12 years' full-time experience helping clients with other issues as diverse as hypnosis for pain management; anxiety and panic attacks; exam and driving test fears; phobias; bedwetting; overactive bladder; public speaking and increased confidence - in fact, hypnotherapy can help with many other issues that I may not have room to mention. Hypnotherapy can offer rapid solutions to many mind-body and emotional problems, often in as few as one to six sessions. Please do ask for more information on hypnosis by completing the form on this page, and/or to arrange a no-charge, no obligation chat so that you can find out whether, and how, hypnotherapy can help you to achieve your goals. TO BOOK A FREE, NO OBLIGATION CHAT, OR TO REQUEST FURTHER INFORMATION, PLEASE COMPLETE THE FORM BELOW. YOUR INFORMATION IS CONFIDENTIAL AND WILL NOT BE SHARED WITH ANYONE ELSE. or email me on abird073@aol.com. Please browse my site and feel free to contact me to find out more about hypnotherapy in Rhyl and Prestatyn.